MU OET 2019 Application Form has been released on 10 October 2018 by Manipal University for all courses. The last date of form submission is 08 April 2019(Extended). Before applying, applicants must meet the eligibility criteria for Manipal University Online Entrance Examination 2019. Applicants willing to apply for MU OET 2019 must register online with the basic personal details. Interested applicants can check below for the complete details and procedure to fill the MU OET 2019 Application Form. How to Apply for Manipal University Admission 2019? The exam will be held from April to May 2019. Aspirants who are interested to apply for MU OET are advised to fill and submit the Application form before the last date of submission. Candidates can fill the Manipal University application form 2019 through online mode. Applicants have to fill the required information and upload the signature and photograph. The steps to apply for Manipal University Online Entrance Test is given below. 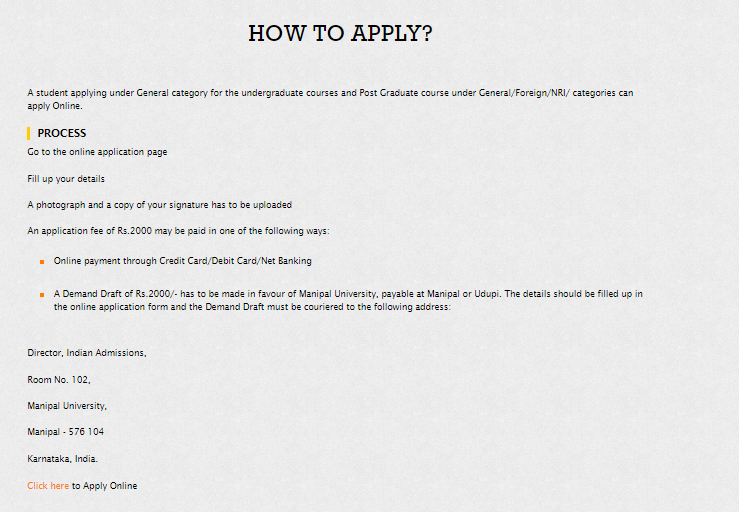 The online application has been divided into five simple stages. Students can find the detailed version regarding all the MU-OET 2019 Application Form stages below. Firstly, this stage is divided into 3 parts. So, in this section, students have to provide all the basic details related to Personal Details. However, applicants must Provide the correct contact details. Also, their Application Number along with their Login ID and Password will be emailed to their registered email address. But, to be eligible for the M.B.B.S, B.Tech, and B.Sc Nursing programs, an applicant must be born on or before 31 December 2000. Then, in this step, Applicant has to choose, in which program, stream, and category does he/she want to pursue further study in. NOTE – Moreover, all the fields are mandatory in this section. Program – Firstly, applicants have to choose a program. I.e. Under Graduation (UG). Category – Then, here candidates have to choose from NRI, Foreign and Sponsored Foreign. If you choose “Sponsored Foreign” then further information is required. Also, applicants have to provide their residential information. City: Should be the same as printed on the identity proof certificate. Nationality: Where they are residing in the last 10 years. Note: Also, all Fields are Mandatory. Then, after filling the Application Form of MU-OET 2019 click the “SUBMIT and Continue”. So, this will result in the creation of Candidates Username & Password and the same will be sent to their Email ID. But, students are advised to note down the Username and Password for further use. Then, this stage has been divided into 2 parts, which can be seen below. So, in this Part, the Applicant has to choose Course/Groups from many given choices. Note: Admission will not be offered to any applicant if he/she does not meet the eligibility requirement. Date of Birth: Here, an applicant has to write his/her DOB. DOB must be the same as the date of birth printed on the supporting document. Then, in this stage of MU OET 2019 application form, applicants have to provide a detailed information about their personal contact. Address: Details about Current Address where the applicant is residing. State: States Where applicants are living. Exchange Number: A secondary number must be provided to the Manipal University, in the case of an applicant loses the primary number. Mobile No. – Applicants primary mobile number for further communication. Upload scanned Photograph and Upload Signature. They can be emailed to the official email ID. Photograph and Signature Must be 8×8 cm in size. Without the Signature and Photograph, the MU OET 2019 Application Form will not be acceptable. Name of the University or School: Candidates have to write the name of the school or university, from where they had passed the higher secondary examination. Year of passing: The year on which a candidate had passed the senior secondary examination. Choice of Test Centre: Students can choose from a list of different exam centres. 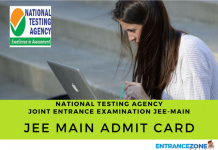 Applicant must choose the test centre as per their convenience. Payment Method: Credit Card, Debit Card, Net Banking, E-wallet or Demand Draft- DD Number, Date of issuance, Name of the Issuing Bank, and Bank IFSC Code. Students cannot change the selected exam centres once the choices have’ been locked down. After MU-OET 2019 Application form completion, the students have at long last enrolled with the Manipal University. Further, Candidates will see a confirmation page. Finally, Students may take the photocopy for the Confirmation page and keep it securely. The applicants must enter their Application Number, to check the status of the MU-OET Application Form 2019. And, Applicants can finish the MU OET 2019 Application Form procedure at their own time by entering Username and Password sent to their given Email ID. * Sages Category is applicable for only those candidates who have studied in Academy of General Education Colleges. And, Manipal University Official Website Here. 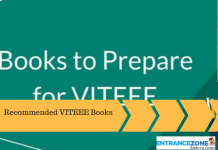 Finally, Stay informed about EntranceZone Latest updates and feature articles regarding Manipal University MU OET 2019 Application Form. 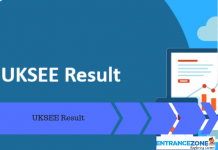 mu oet 2018 application form, manipal application form 2019, manipal university application form 2018, manipal university application form 2019 last date, mu oet 2019 syllabus, manipal entrance exam 2019 date, manipal university application form 2018 last date.